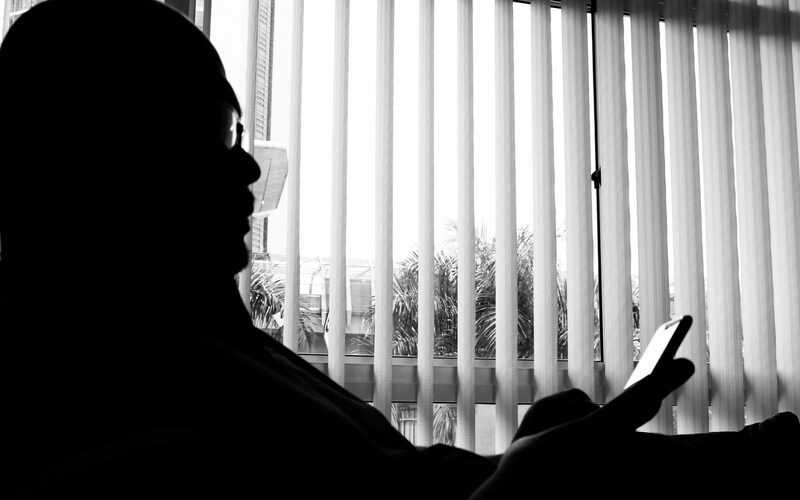 Malaysians hardly read. Nor do they have the brain capacity to either process information or store information. This is why Malaysians have a very short attention span, memory retaining problem and are also gullible. When Malaysians read they have this superb speed-reading capability that they have used during their schooldays especially during last minute slogging sessions days before the SPM examinations. They will pick up key words, process these words in a crude manner that would make sense to only them and that forms their understanding. I would have termed them as nincompoops or morons but for the purpose of this article I’d like to make them sound like a bunch of professional morons – hence the use of the term simpletons. The DoJ are applying for the seizure of assets “associated with an international conspiracy to launder funds misappropriated” from 1MDB. This is about people who took money from funds meant for 1MDB to profiteer and for their personal consumption. There are four people named in this civil forfeiture lawsuit and they are Riza Aziz who is the stepson of Najib Razak, Low Taek Jho, or Jho Low, and Abu Dhabi government officials Khadem al-Qubaisi and Mohamed Ahmed Badawy Al-Husseiny. The four named above would now have to respond to the complaints filed in the lawsuit (show cause if you must, for the simpletons) to say to the DoJ that they purchased assets through legal means. This lawsuit can take up to seven years before it would come to a conclusion. My point here is, dear simpletons, Najib Razak whom you have linked Malaysian Official 1 to be, is not named in this lawsuit. He is not a party to this process. Neither are 1MDB Official 1, 1MDB Official 2, and 1MDB Official 3. Neither is anything missing or seized from 1MDB as 1MDB is also NOT a party to this civil lawsuit. In a larger scheme of things, it is 1MDB that is the victim of misappropriation and not a collusion partner to the four mentioned above. (Note for Simpletons: please read this paragraph 50 times). As Malaysians also have problems retaining memory, it is important to remember that the criminal investigation by the Royal Malaysian Police into the administration and governance of the 1MDB based on the PAC report is still ongoing. This is the same PAC report that has cleared Najib Razak from any wrongdoing and was signed in absolute agreement by its members which includes DAP lawbreaker Tony Pua. To add to that, Najib Razak is not being subjected to any investigation as announced not only in Malaysia and the US, but also in Singapore and Switzerland and a couple other countries. (Simpletons now go back to the beginning of this paragraph). Fatigue, mood swings, absent-mindedness all come with that dreadful word MENOPAUSE. It also comes with age. So if you are 64 and menopausal absent-mindedness probably comes as a double-whammy. That is why I can forgive Wan Azizah for her episodes of absent-mindedness. 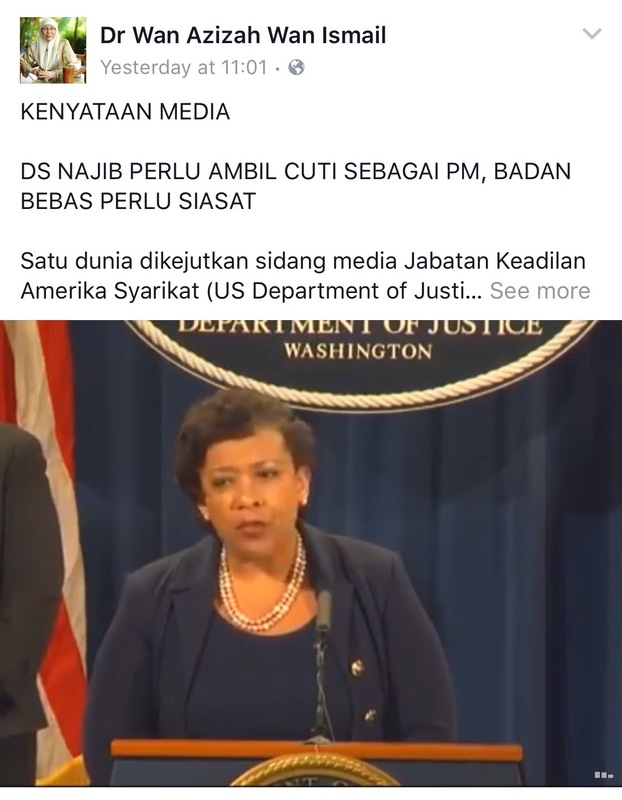 She forgot that Najib Razak is not under any form of investigation or lawsuit, yet calls for Najib Razak to go on leave. Her absent-mindedness has made her forgot about one person whom have abused his position (much like her husband did prior to 1998) for personal gains and has actually been charged in a court of law! Did Wan Azizah call for this person to go on leave? So, Wan Azizah is menopausal. 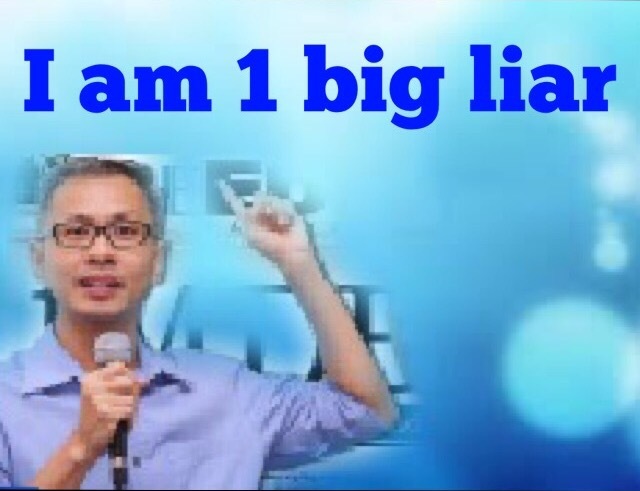 But what has Tony Pua got to say for himself? 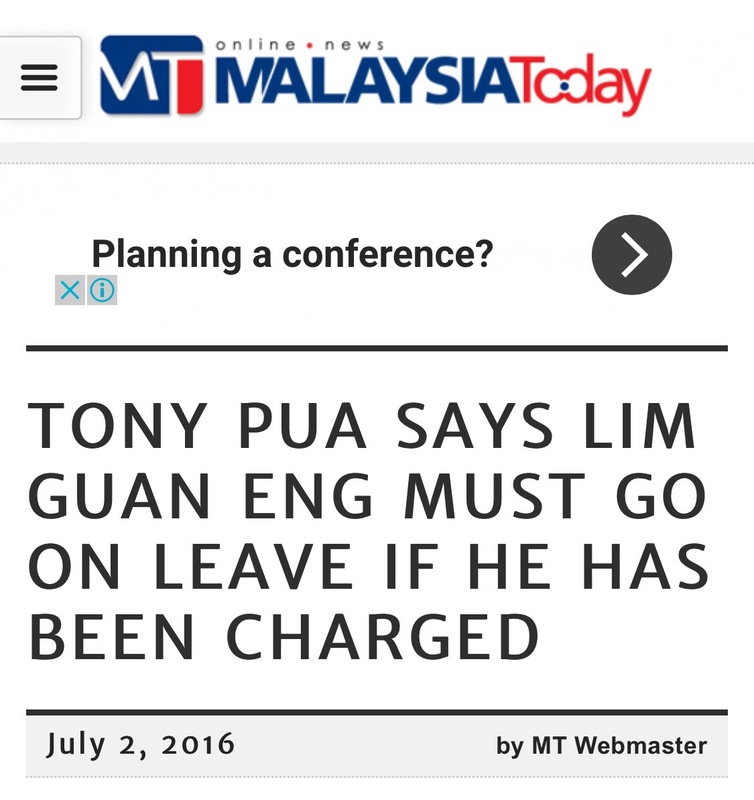 I don’t hear any call from Tony Pua asking Lim Guan Eng after the latter was charged in court. He can’t claim to be menopausal as he was born in Batu Pahat 44 years ago as was Guan Eng’s father, Lim Kit Siang. Furthermore, Tony is a man. Lim Guan Eng had personally benefitted from the purchase of the bungalow on Jalan Pinhorn at a much lower price than its actual value. Using his position to interfere or influence the price of the bungalow. If he sells this bungalow tomorrow, then he would big making a huge some of money, thanks to his position as the Chief Minister of Penang that he has thus far been very reluctant to let go. We are also still waiting for the documents pertaining to the proposed third Penang bridge that the Works Ministry has asked for. Let us also not forget about the RM305 million paid for a feasibility study for a RM6.3 billion tunnel linking Georgetown and Butterworth! RM305 million could have gotten the marginalised Chinese, Indian and Malay people of Penang 7,625 low cost affordable homes that would house at least 45,750 marginalised Penangites if they are priced at RM40,000 per unit! 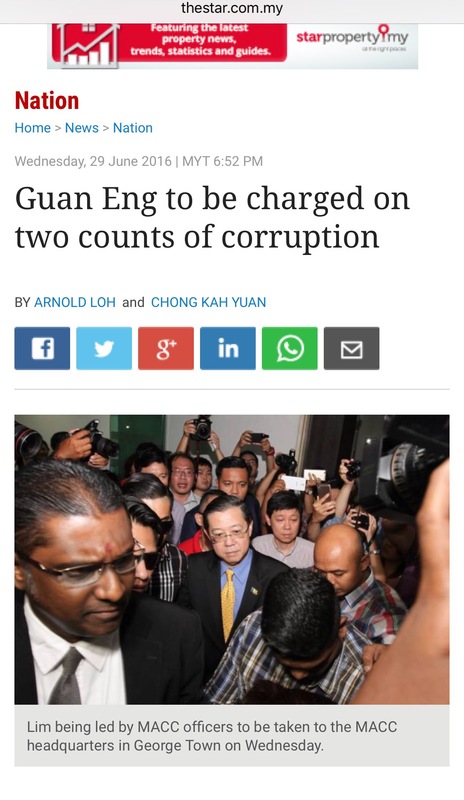 So let us not digress from the main attention here which is the corrupted State Government of Pulau Pinang that is led by its Corrupted Minister Mr Lim Guan Eng who has been charged in court! Najib Razak? Najib Razak has not done anything wrong as far as at least four nations are concerned and should just go about his business of developing the country as usual.